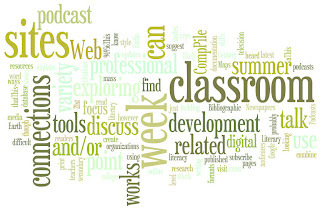 Effective writing assignments and strategies for teaching nonfiction along with the summer series of blogs on 21st century tools for the classroom were Traci Gardner's most read Inbox blogs this year. How Do We Change Assessment? In her recent perspective piece, "Winds of Change in the Assessment World?," Kathleen Blake Yancey states, "I think most of us, if asked about assessment and testing, would say pretty much the same thing: we have more tests and bad tests than ever before." BUT WAIT, Kathi gives us hope that things may be changing as she shares two new and very different assessment programs: the Insight Resume used by Oregon State University and a portfolio assessment used by the Virginia Beach Schools, written about in her November 2008 Council Chronicle article "Assessment Models Worth Sharing." What emerging trends in assessment are you seeing? So What Is 21st Century Learning Anyhow? None of us has escaped the technological and media explosion of the 21st Century but most all of us need ways of working to use the new tools of our world to help prepare our students for the now and the later. The NCTE Definition of 21st Century Literacies and the just-released NCTE Framework for 21st Century Curriculum and Assessment give teachers ways “to think about their practice and how it relates to 21st century learning,” as Bill Bass notes. See Bill’s complete explanation on his blog . Franki Sibberson, Bill’s Executive Committee colleague, adds to his comments on her blog. But a picture is worth the proverbial 1000 words. See YouTube video The Networked Student on Alec Curos’ blog . The video was inspired by CCK08, a Connectivism course offered by George Siemens and Stephen Downes during fall 2008 and depicts an actual project completed by Wendy Drexler’s high school students. The Networked Student concept map was inspired by Alec Couros’ Networked Teacher. Can I play “The Telltale Head” episode of The Simpsons in class as part of my unit on Poe? Is it okay to include a clip from The News Hour with Jim Lehrer in my ReadWriteThink lesson plan? I want to show a screen capture from a video game in my conference presentation. Is that okay? Can a student use the chorus from Dire Straits "Romeo and Juliet" in a PowerPoint presentation on the play? The class made a video adaptation of a Dr. Seuss book. Can we post it online? The Code of Best Practices in Fair Use for Media Literacy Education (HTML  PDF) provides guidance that can help answer all these questions. Released today and endorsed by NCTE, this document provides an overview of copyright and fair use practices and includes five principles that address specific situations teachers encounter when using copyrighted text in the classroom. In addition to the code, be sure to visit the Media Education Lab website, where youll find key resources and curriculum materials. The site includes links to My Pop Studio, which focuses on media literacy for girls 914, and Assignment Media Literacy resources for elementary, middle, and high school students. Youll find songs and video clips that you can use with students or in your professional development workshops. The Teaching about Copyright and Fair Use section of the site includes case studies and lesson plans. In addition to understanding copyright and fair use, you should know something about Creative Commons. For a great overview, check out “The Beauty of Some Rights Reserved: Introducing Creative Commons to Librarians, Faculty, and Students” from the November issue of the Association of College and Research Libraries publication C&RL News. The Learn More section of the Creative Commons website offers movies, comics, and FAQs. Trying to plan a time to meet friends at the Annual Convention in San Antonio? Want the class to choose a destination for the next field trip? Need to choose the best day for an after-school committee or club meeting? No matter what youre trying to decide, Doodle is a free online tool that makes it easy to gather preferences from teachers, students, families, and anyone else you want to connect to. Whether you need to schedule an event or choose among several general options, you can use Doodle to accomplish what you want simply. Go to the Doodle website. Create a login (or login if you are already set up. Choose either to schedule an event or set up a poll. Name your survey and enter all the options. Check your email for a link to the survey. Send the link out to everyone you want to respond. Thats it. Doodle does all the tallying for you. People who respond do not need to set up an account or even have an email address. Just give them the URL. Thats all thats needed—which makes it a nice choice for school systems where students cannot post personal information online. When your survey is complete, you can print out the results or export them to a spreadsheet or PDF. Doodle can help with any decision you need to make. If you can state the options, you can use Doodle to gather opinions and come to a conclusion. Because the tool is Internet-based, its perfect for distance ed and online courses as well as for finding ways for colleagues spread across a region, the nation, or the world. If you have Internet access, you can cast your vote with Doodle! The 2008 NCTE Annual Convention is only 3 weeks away. Before you know it, youll be in San Antonio attending sessions, giving presentations, and connecting with friends and colleagues. How can you get your presentation underway now, before those 3 weeks fly by? Simply log on to the 2008 NCTE Annual Convention Ning and follow the instructions to post information about your session. Build interest in your session before you even pack a suitcase! Share details about your presentation for other attendees who are looking for more than the online program tells them! Post longer materials and additional resources—anything from a bibliography to a PowerPoint presentation. Dont print out copies. Just point people to the materials online. Introduce yourself with your profile page. Use your Ning Profile to tell people who you are, where you teach, your educational interests, and more. Get reactions from friends and colleagues to the ideas and materials youll be sharing. Why wait? You can start the discussion now, and include related information during your session in San Antonio. Point to other resources youd like to attendees to know about. Are you a member of an NCTE affiliate or assembly? Do you do work with the National Writing Project? Want to encourage others to participate in educational events and advocacy? 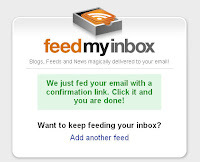 Just share the details in your sessions discussion forum. Distribute follow-up materials and information after the session easily. Once your presentation is over, you can post any additional information or resources right in your sessions discussion forum. 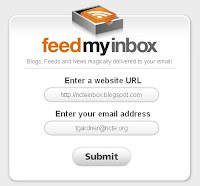 Invite people to share their related handouts and URLs after the session. Session attendees mention similar projects or useful websites? Just point them to your discussion forum to post the details. Ask for feedback and responses to your session. Want to hear what others have to say? Use your sessions discussion forum as a space for ongoing conversation about your presentation. Document your participation in the session. When youre gathering resources to share with your administration about your trip to NCTEs Annual Convention, everything will be in one place! Just visit the 2008 NCTE Annual Convention Ning to share details on your presentation—and read about the many other sessions that will take place in November in San Antonio. National Newspaper Week is October 511 this year. Sponsored by the Newspaper Association Managers, the 68-year-old celebration draws attention to the role that newspapers play in daily life. 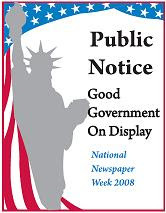 This years theme, “Public Notice—Good Government On Display,” focuses on how governmental notices in newspapers keep the public informed and involved in government. Wikis are a great way for small groups and classes to create collaborative web-based documents. Theyre meant to be highly hyperlinked documents and their content history and open editing tools allow groups to compose together as the wiki grows organically. No Internet access required for the writers or readers. Customizable using a variety of plugins. Do everything within a standard Web browser. Built in support for searching and tagging. Translations available for Spanish, and other languages. The technical profile is great, but what about pedagogy? TiddlyWiki supports process-based writing—students can write, revise, and edit as needed, and basic text formatting (like bold and italics) is supported. The TiddlyWiki Timeline keeps a list of all the chunks of text (tiddlers) that have been changed, in reverse chronological order (e.g., most recent changes first). The built-in features in TiddlyWiki make it a rather simple tool to use. All content is saved in a single HTML file. Students can save their files on jump drives, CDs, or a local or school hard drive. Files can also be emailed as attachments or uploaded to a web server. Students would need to know a bit about how wikis work. Knowledge of simple HTML formatting would be ideal as well. After a bit of experimentation however, most media-savvy students would be able to use the tool. That brings us to how you might use a portable, personal wiki in the classroom. 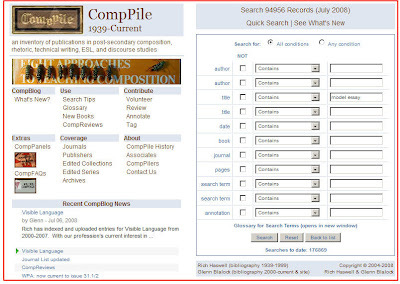 TiddlyWiki is described as a microcontent tool. Its ideal for shorter, focused kinds of writing. While a regular wiki would be useful for a class encyclopedia, TiddlyWiki is great for a single encyclopedia entries or a collection of related entries. Book reports—compose different sections of the TiddlyWiki for characters, setting, plot, themes, and so forth. 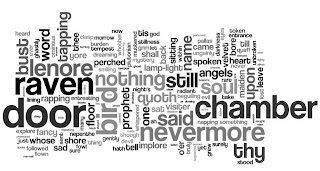 Literary analysis—break out different aspects of any literary element (or compare several elements). Research journal —create a page with notes and bibliographic information for each primary and secondary source. Reports—make the standard sections of a research, lab. technical, or business report into pages in a TiddlyWiki . FAQs—publish frequently asked questions, as part of a research project or book report alternative. Class Notes—take notes for each class session on a new page in a TiddlyWiki. Journals and blogs—make a new page for each journal or blog entry for an electronic option that requires no Internet access. Thats just a start. Once you try TiddlyWiki, youre bound to think of other options—as well as ways you might use it as a teacher. You might use the tool as a paperless option for sharing class assignments and handouts for a specific unit. By customizing the basic TiddlyWiki file, you could create a template for a project that students might use to publish their work or as a prewriting organizer. Homepage for the tool. Youll find the download file, examples, additional tools, and help files. The site for TiddlyWiki plugins to change the appearance and navigation as well as to add tools. A great resource for tips, suggestions, and tutorials for TiddlyWiki. A customized, simpler version of TiddlyWiki. Ever in the classroom and realize you want a computer file thats at home? I know its happened to me. Dropbox provides a fast, simple solution that can help you and students. Dropbox, which went public last Thursday, bills itself at “the easiest way to share and store your files online.” So far, they live up to that reputation for me. Provides you a free 2GB Internet storage folder. Works just like any file folder on your computer—you can drag, drop, copy, delete, and so on. Keeps all your files up-to-date automatically on multiple computers. Lets you access your files from any Internet or mobile browser (yes, from your cell phone). Includes public and shared folders, so you can share files with everyone or just the people you identify. Keeps other files hidden from the public. Organizes photos in simple galleries for sharing. Works on Mac, Windows, and Linux. View the Dropbox Screencast for a fast video overview or walk through the webpages on Dropboxs features for all the details. Start adding files to your Dropbox folder. Really. Thats it. If you want to access the files on another personal computer, you can download the application and simply sign in. Or just use the Web interface. Thats right. No download is necessary once youve set the program up on your personal computer. How is Dropbox Helpful to Educators? Store handouts and assignments in Dropbox at home, and you can get to the files when youre on a computer at school. Change a file at school, upload it to Dropbox, and youll have the fresh file at home. How about uploading your convention presentation so you have a ready backup? Place copies of files in public or shared folders and give students the URL. No excuse for lost or missing assignments when everything is available online. Have students sign up for their own Dropbox, if your school's Acceptable Use Policy allows. They can easily move their files between home and school computers too. Need an online portfolio space? Have students create a shared portfolio folder for their work. Set it up so that only peer group members and you can access the files. Work on more than one platform? Have both a Mac and a Windows machine? No more nuisance moving files back and forth on CDs or USB jump drives. Just drag a file to the Dropbox on one machine, and you can get to it on the other machine. Platform doesn't matter. Upload a collection of photos students need for a project, and you have a ready gallery to share (without having to worry about the problem files on Flickr). Collaborate with a colleague on an article about a teaching strategy you both use. Store your files in a shared Dropbox folder and you can both access the files easily. Compare different versions of a document, as a writer yourself or with students drafts. Dropbox keeps an archive of changed files, so you can easily step back to an older version. Have a certain set of files or tools you like to use? Maybe specific extensions for Firefox? Save them on Dropbox and its easy to keep your different machines synched. You dont have to be all scholarly about it. The Dropbox folks report that some people use their folder for mods and customizations for games like World of Warcraft. Please share. Dropbox has a lot of potential. The 2GB size is limiting, but if you are careful and only place current files on the system, it should be a nice way to keep things available, no matter what computer youre sitting at. My very favorite Schoolhouse Rock short, Conjunction Junction, is available on YouTube anytime I want to do a mini-lesson on conjunctions work “hooking up words and phrases and clauses.” If Ime teaching Hamlet, a quick search on YouTube will turn up Sir Laurence Oliviers performance of the “To Be or Not To Be” soliloquy, ready to share with the class. The problem with YouTube, as Im sure almost everyone knows, is that there are also a lot of very inappropriate videos on the site. Its a difficult site to turn students loose on because of the amount of guidance needed. In many districts the site is banned outright by network firewalls. This is where sites like TeacherTube and Teachers.tv come in. Think YouTube for teachers, and you have the idea. Teachers upload student-created videos, their own instructional videos, tutorials, in-service and conference presentations, and demonstrations. TeacherTube has an American feel. Teachers.tv is the UK spin on the idea. Youll find resources like a book talk on the 2008 Newbery Award winner, a promotion for book clubs, and the Alphabet in American Sign Language on TeacherTube. And youll find a collection of videos for English and media instruction on Teacher.tv. Find collections of videos arranged by genre. Some will be inappropriate; however, specific collections such as Youth Media, Classic Television Commercials, and the September 11 Television Archive have materials you can embed and use with students. The C-SPAN website offers more than just political news and current events. Booknotes and BookTV have video interviews of non-fiction authors. C-SPAN Classroom is includes videos on Civics and U.S. government that can provide background information and content-area resources. Presidential Libraries offers biographical information through recordings of twelve presidents. While the main Google Video site is open to uploads, you'll find specific collections suitable for the classroom behind the front page. The National Archives videos include NASA History, World War II newsreels from United Newsreels, and Department of the Interior Motion Pictures from 19171970. The University of California, Berkeley videos include a handful of recordings from the Lunch Poems series, featuring readings by poets such as Li-Young Lee and Lawrence Ferlinghetti. Always, always, always preview the entire video before sharing it. Be sure that youve obtained permission from families and your administration. Watch for “related” or “popular” video links that may appear near the video you plan to use. Embedding a video can avoid some problems, but remember that sites like Google and YouTube include links to “Related Videos” in the video screen as well. Check the comments that accompany a video. The video may be suitable, but spammers and trolls may have filled the comments with inappropriate language or links. Whats a Ning? Whats a social network for that matter? And how can a teacher use them? All important questions. Ill start with the most general and move to the most specific. You have lots of social networks, even if you are rarely online. You might have a group of friends from college you stay in touch with. Maybe you participate in a local book club that gets together every month for discussions. The colleagues you teach with may work with you in a teacher-study group. All of those scenarios describe social networks. Online, social networks connect people who share common goals or interests. Facebook and MySpace are general social networks. Specific networks might connect family members, fans of a television show, or people who have the same hobby. So how does all this connect to Ning? Ning is an online social network platform that allows you to create your own customized social network. You can decide on who is invited, what they can see, and what they can do. You can create a Ning site for anything. There are a number of features available, and a basic site is free. 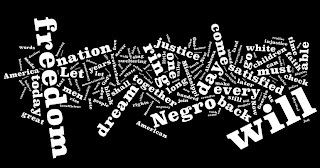 NCTE has created a Ning site for the 2008 Annual Convention. Youll see the NCTE logo, links to the convention website, and information from NCTE members. There are videos, photos, and podcasts. If you join the 2008 Annual Convention Ning, you can post information about your presentation, chat about sessions you want to attend, and connect with friends before you arrive in San Antonio, during the convention, and after convention is over. So Ning is just another social network, like Facebook, MySpace, or LinkedIn. What makes it different is the ability to customize the features to meet the needs of a specific group of people. How can a teacher use a Ning social network? Use a Ning to connect students in a private social network! What could you do for language arts, writing, and literature classes? Set up discussion forums based on literature circles, peer writing groups, different class periods, and so forth. Create groups based on student interests—book clubs, favorite genres, other content areas. Upload alternative book reports created as podcasts, videos, or photos. Ask students to write their reading logs or journals online, using their own personal blogs. Post information for students and their families in a shared space. And unlike Facebook, a Ning network can be set up so that it is private and open only to invited members. Using the network tools, you can invite only the students in your classes. You can monitor the members in the administrative tools on your Ning network. The network can also be set so that you can approve people before they join. And reverse any of these decisions with a click of a checkbox! In some scenarios, you can leave the site more open. Its nice to know, however, that you can lock things down if you need to. Try to do that on MySpace! If you want to see more, please join us on the 2008 NCTE Annual Convention Ning. Whether you plan to go to San Antonio or not, you can sign up and join in the discussions! If you have any questions, my member name on the Ning is tengrrl. So logon and friend me!